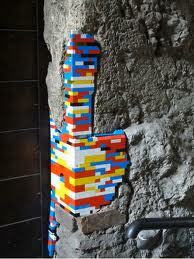 Cracks in your house? In fact, a whole city full of cracks? No problem. Jan Voorman can help. 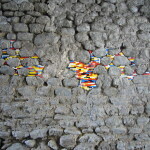 He has already helped Bocchignano, Italy by filling all the cracks in its 1000 year old walls using Lego. 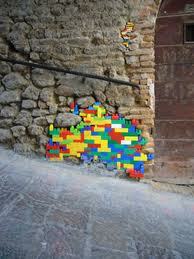 More amazing photos of his lego art project here.